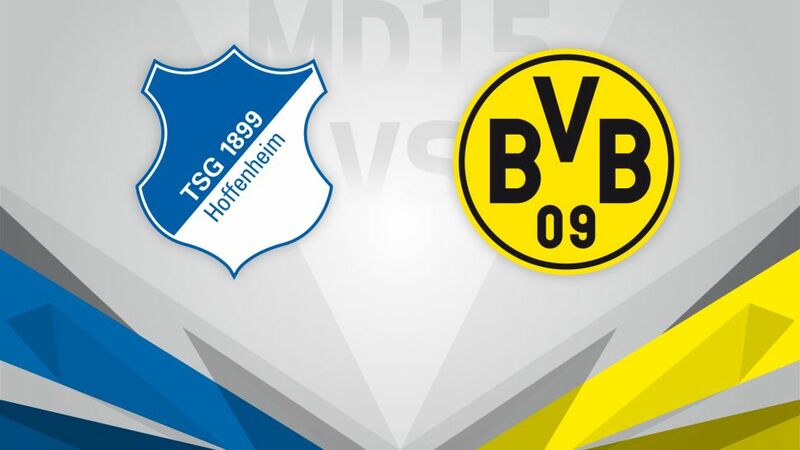 TSG 1899 Hoffenheim will be ferociously defending their unbeaten Bundesliga record on Friday (kick-off 20:30CET/19:30GMT) when they face Borussia Dortmund. Have you got your Official Fantasy Bundesliga team ready for Matchday 15? If not, click here. One of just two teams in Europe's top leagues still to be beaten this season – the other being no less than UEFA Champions League holders Real Madrid CF – Julian Nagelsmann's side have a one-point advantage over their guests to keep intact or even build upon, with a place in the top three up for grabs with a victory. Dortmund's recent inconsistencies have seen them beat FC Bayern München but then drop points at Eintracht Frankfurt and 1. FC Köln. They will be hoping their next trip away from the SIGNAL IDUNA PARK can see a repeat of their journey to Hamburger SV, when they came out 5-2 winners, thanks to four goals from Pierre-Emerick Aubameyang. The league's leading scorer could be Thomas Tuchel's key man again in Sinsheim as Dortmund also eye a place in the top three.